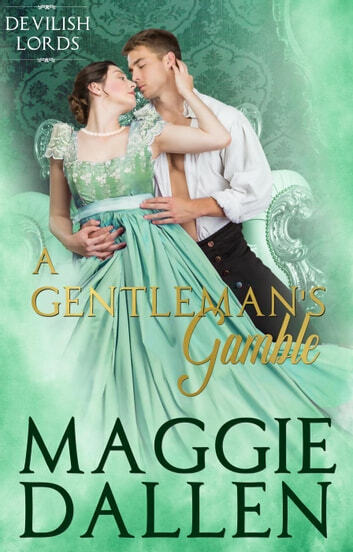 A Gentleman's Gable is a Regency romance that touches the heart and gives one hope for lost causes. Embroiled in scandal, Jed adds fuel to the fire when he makes one of the worst mistakes of his life. He has spent bitter years repenting for his error and the well-deserved scorn that Eliza has heaped on his head. He certainly does not expect Eliza to offer him a chance at reclaiming his life, albeit through marriage to her. In those moments, Jed sees a vulnerability in Eliza and realises that she is not what he had always supposed. When Jed takes up her challenge, Eliza also has to readjust her ideas of Jed, especially when he displays kindness and an enjoyment of her company. I loved both main characters in this book, their willingness to change and to readjust their views. Falling in love wasn't part of the equation, but as they got to know one another it was inevitable that their feelings would become involved. This is a fairly short novel but it is romantic, well written and entertaining. It is also clean and can be enjoyed by most age groups. I received a copy of this book as a gift and this is my honest and voluntary review.